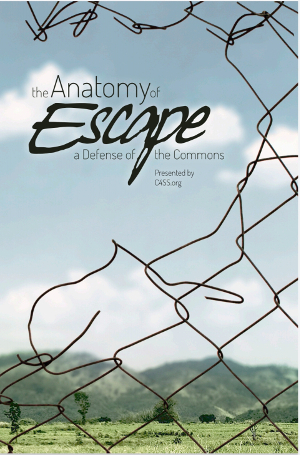 This the third in a series of essays originally written by Carlos Clemente as assignments for an introductory course to market anarchism that he took at C4SS’s Stateless University. For the fourth essay, click here. For the second, here. Any economics textbook will tell you that monopolies are bad things. They rip off customers, charging high prices for sub-optimal quality goods. They exploit workers, paying them less than their labor would truly be worth in a competitive market. 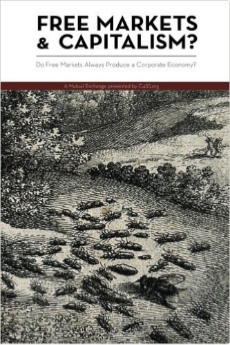 But most textbooks will also tell you that monopolies or oligopolies are sometimes inevitable: That there are industries where somehow, they emerge as the result of the competitive dynamics in a free market. And the only way to correct this situation, the textbook version goes, is to have government regulate these “natural monopolies” on behalf of customers and workers. On the other hand, the market anarchist sees monopolies and oligopolies as creatures that cannot survive without government intervention. 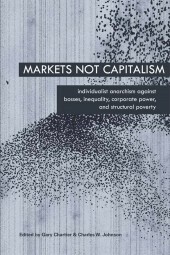 They encourage us to look a bit more carefully into what we usually assume are “free markets,” and discover the subtle, yet powerful forms of government intervention that pervade modern societies, and that systematically rig the competitive game in favor of large, established firms within each industry. 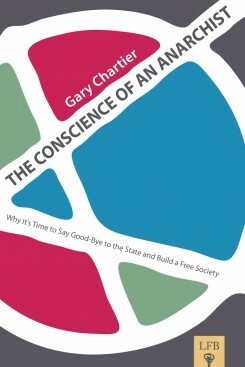 It is usually assumed that governments should subsidize the construction of roads, highways, and other forms of transportation infrastructure as an indispensable pre-requisite for “economic development.” But the anarchist perspective on this issue turns the argument on its head. Kevin Carson points out that by making distribution costs artificially low, transport subsidies allow incumbent firms to grow in size far beyond the point where economies of scale would be offset by increased distribution costs in the absence of these subsidies. So while market anarchists coincide with the mainstream left in denouncing the WalMartization of society, they radically differ in the prescribed remedy for it: eliminating transport subsidies, instead of subsidizing local shops, is the truly sustainable way to solve the problem. 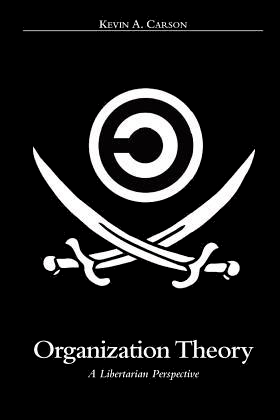 Furthermore, market anarchists have put lots of effort in researching the particular forms of organizational inefficiency and irrationality that arise in large organizations, and the diseconomies of scale they create. In this regard they contradict both neoclassical and Austrian economists like Ludwig von Mises, who despite being a prominent attacker of the soviet organizational nightmare, denied the existence of these very same problems in the capitalist mega-corporation; and go much farther in their analysis of the problem than other Austrians like Murray Rothbard, who limited his criticism to the problems of internal transfer pricing in large firms. In this light, it is easy to understand the poisonous features of contemporary corporate culture, which festers among a bureaucratized management class with a penchant for looting and authoritarianism that places it squarely at odds with shareholders, customers and workers. The state’s intervention then is what allows for the growth of a corporate culture that closely resembles that of the state’s own bureaucracy. And that is just natural when understood through the paradigm of the market anarchist, who sees government as the quintessential form of monopoly. Ultimately, the symbiotic relationship between corporate behemoths and the state creates a perverse dynamic of economic growth that necessitates imperialist wars in order to sustain itself. Corporations benefit as providers of military equipment, from the expansion of their system of privilege to foreign markets, and the disposal of over-accumulated capital. The state benefits by appeasing its electorate with the mitigation of chronic unemployment, and by institutionalizing an atmosphere of fear among citizens that allows it to enormously expand its powers – at their expense. Next time you hear a talking head say that by funding transportation infrastructure the state promotes “economic development,” remember that according to the market anarchist perspective, it might as well be subsidizing apocalypse.